EVERYTHING YOU NEED TO GO FROM START TO PROFITS. We’ve traded for a living for all of our lives. We know what it takes to consistently make money in the stock market. And through our comprehensive videos, relatable articles and in-depth seminars, we’ll teach you how to be a profitable investor too. Experience is the best teacher. Through our virtual trading platform, now you can practice buying and selling stocks in real-time without the risk. Hone your skills further, by competing in our trading competitions and get the chance to win EPIC prizes! We provide you powerful but user-friendly tools to help you succeed. 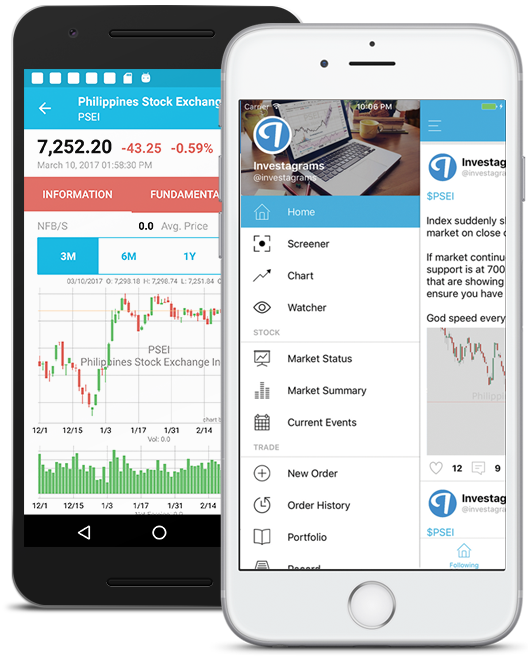 We have real-time charts with complete indicators and data, a screener which allows you to filter through hundreds of stocks in just a few clicks, and even instant price and disclosure alerts so you can monitor your stocks on the go! We know that finding your way in the stock market can be challenging. But don’t worry, we got your back. We established a community where you can ask questions, share your ideas, and collaborate with your fellow traders.